Kerri Bullock is the Director of the Professional Development & Resource Center. She is in her 13th year at BT BOCES in professional development, having served as the Assistant Director, Manager and Professional Development Specialist. Prior to her position in PD, Kerri was a High School Health and Physical Education teacher and coached a variety of sports. Kerri received her Bachelors of Science in Health and Physical Education from Ithaca College and her Masters of Education in Health Education from SUNY Cortland. She also completed the Educational Leadership Program in SUNY Cortland and is certified as a School Building and District Leader. Kerri is passionate about helping educators enhance their practice through their instructional decisions and meaningful connections for students. She teaches workshops such as Focus on Effective Teaching, Brain-based Instructional Strategies, Teacher Evaluation, and supports districts with customized curriculum, instruction, and assessment work. She also continues to provide professional development for health and physical education teachers. Kathryn Bailey is the Assistant Director for Professional Development with the Professional Development and Resource Center. She has been working with the Broome Tioga BOCES PD&RC since 2015. Prior to this she served in multiple roles with the Sidney Central School District, including Director of Curriculum and Elementary Principal. Before this she was a research assistant and taught for the School of Education at Syracuse University while completing her PhD coursework in Literacy Education. Her classroom experience includes teaching reading and English Language Arts for the Vestal and Greene Central School Districts. Kathryn received her Bachelor of Arts in English from Wells College and Master of Science in Reading Education and Certificate of Advanced Study from Syracuse University. She holds dual certification as a School Building & District Leader. Believing that literacy is a fundamental human right, Kathryn's career efforts continue to be focused on building vital literacy skills, especially for learners who struggle. She works to support teachers and administrators in building their own knowledge base about literacy development and instruction across all grade levels. Her efforts continue to focus on design of robust curriculum and assessment and implementation of systems of support that ensure learning for all students. In her work with ELA teachers, she conducts workshops on: acceleration strategies for students struggling with decoding; literacy coaching; writing workshop at all grade levels; and strategies for helping students to access complex text. Additionally, she supports interdisciplinary workshops with secondary English, social studies and science. JoAnn Hawley is a School Curriculum and Improvement Manager with the Professional Development & Resource Center. She has been working with the PD & RC team for thirteen years, having served also as a Reading Recovery® Teacher Leader. Prior to her position in professional development, JoAnn taught 4th and 5th grade and was also a Reading Specialist. JoAnn holds a Bachelor’s degree in Elementary Education from SUNY Oneonta and a Master’s degree in Reading K-12 from SUNY Cortland. She completed a Certificate of Advance Study in School Administration from SUNY Cortland. JoAnn also attained a Reading Recovery® Teacher Leader Certification from Lesley University in Cambridge, Massachusetts. JoAnn's primary responsibility is to deliver quality literacy professional development to support teachers in meeting the needs of their students who are at-risk readers and writers. She assists teachers in analyzing data, creating "next steps" to reach the desired state of reading, and coaching sessions. In addition, JoAnn provides customized literacy support to districts and teaches regional workshops such as Literacy Leaders, Literacy Roadmap, Leveled Literacy Intervention, and Reading and Writing Workshop using the Teacher’s College Model. Patricia Walsh is a School Curriculum and Improvement Manager with the Professional Development & Resource Center. She has been working with the PD&RC team for eight years, having served also as the Race to the Top Administrator. Before coming to this region, Pat was an Instructional Specialist for five years for Cayuga-Onondaga BOCES Professional Development Unit. Prior to that, Pat was a secondary educator in Central New York for thirteen years teaching social studies at the high school level and at an alternative middle school for at risk youth. Pat received a Bachelor of Arts from Wells College and a Master of Arts from the University at Albany. Pat holds the dual certification of School Building Leader/School District Leader, having completed the Educational Leadership Program at SUNY Cortland. Pat’s efforts are continually focused on quality learning opportunities for teachers and administrators at all stages of their careers. Her eye is always on supporting educators as they design educational experiences for children that will engage them and build strong foundational skills for whatever pathway their future holds. Pat provides customized support to districts and teaches regional workshops such as: Focus on Effective Teaching, Cooperative Learning, Proactive Behavioral Management, Teachers New to the Profession, Brain Friendly Instruction, Project Based Learning, Mentoring and Teacher Evaluation. Pat also teaches workshops for social studies teachers K-12. 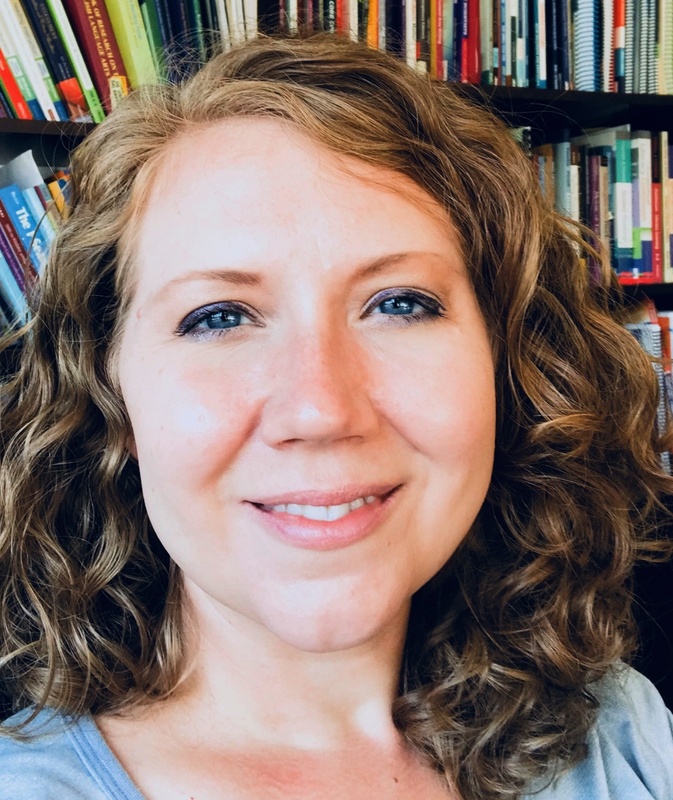 Nicole Waskie-Laura is the Assistant Director for Instructional Technology & Educational Resources at the Professional Development and Resource Center. She is in her sixth year at Broome-Tioga BOCES. Prior to her current positon, Nicole was an elementary school librarian for six years. Nicole received her Bachelors of Arts in English from SUNY Geneseo, her Masters of Library and Information Science from the University of Buffalo, her Masters of Science in Educational Administration from the University of Scranton, and her Advanced Certificate in Educational Leadership and Supervision from Canisius College. She is certified as a School Building and District Leader. Nicole is focused on supporting librarians as they transform and adapt to their changing roles, with a particular interest in the way technology and libraries intersect to impact teaching and learning. Nicole provides professional development with an emphasis on collaborative opportunities for inquiry-based instruction across content areas, facilitates enrichment opportunities for students through Arts-in-Education and Extended Classroom services, and maintains a regional collection of cutting-edge resources for both student and professional use. Recent workshops have included Social Studies Inquiry and the Information Fluency Continuum, Serving Students with Special Needs in the Library, Text Sets for Literacy and Inquiry, and eBooks for Teaching, Learning, and Recreational Reading. 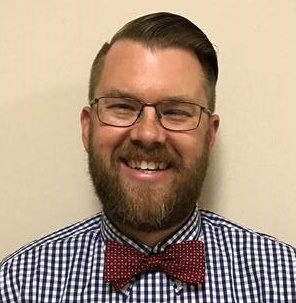 Dustin Andrus has been working as a Regional Instructional Technology Professional Development Specialist in the PD&RC for the past six years. Prior to this position, he taught 9-12 grade math and 7th and 8th grade computer science. Dustin received both a Bachelor's degree in Mathematics & Secondary Mathematics Education and a Master’s degree in K-12 Instructional Technology Integration from SUNY Oneonta. Go Red Dragons! From there he moved on to Binghamton University to complete his CAS in Educational Leadership. Dustin is certified as a School District Leader and also holds certifications in Secondary Mathematics and K-12 Instructional Technology. Dustin’s role at BOCES is to work with teachers and school districts on ways to strategically integrate technology best practices into classroom instruction. This work includes regional workshops, classroom coaching, and collaboration with district leadership on implementation and planning models. 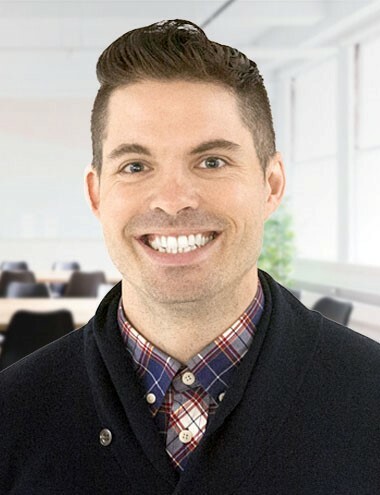 Some of the regional work that Dustin performs include: How to Integrate a Learning Management System (Schoology) into the Classroom, Flipped Classroom, Hummingbird Robotics, Online Collaboration through Google’s G Suite, and Microsoft Office 365. Jennifer Blackman is a Special Education School Improvement Specialist with the RSE-TASC (Regional Special Education Technical Assistance Center). This is her fifth year in this position. Prior to this position, Jennifer was a High School Consultant teacher for ten years where she was the Transition Coordinator for 8 years. She also taught 6th, 7th and 8th grades at the Children’s Home of Wyoming Conference in a 6:1:1 setting for 5 years. Jennifer received her Bachelor’s degree from SUNY Geneseo in Elementary Education with her Masters of Education in Special Education from Marywood University. The RSE-TASC works to build capacity in districts to improve instructional practices primarily in the areas of literacy, behavioral supports and special education services. Jennifer strives to match solutions to individualized and realistic settings. Rick Bray is an Instructional Technology Professional Development Specialist with the Professional Resource and Development Center at Broome-Tioga BOCES. Rick started at the PD&RC in June of 2015 after teaching chemistry to students at Windsor Central High School for the previous 13 years. While at Windsor, Rick coached a variety of sports, and was a ski club advisor. Rick earned a Bachelor’s of Science in Chemistry from St. Lawrence University, and a Masters of Education with a focus on secondary science education from Binghamton University. Rick holds a New York State permanent certification for both Chemistry (Grades 7-12) and General Science (Grades 7-12). Rick is also a Level 1 and Level 2 Certified Google Educator, a Schoology Ambassador, a Certified Microsoft Innovative Educator, a Common Sense Media Certified Educator, a Plickers Ambassador, and a Swivl Teacher Pioneer. Rick firmly believes that educational technology can help augment strong pedagogical practices, and help transform education. Rick organizes large group workshops on the G Suite (Google Apps for Education) and Schoology for the districts he supports. Rick’s work in his districts focuses on small-group or one-on-one instruction to help teachers effectively integrate technology into the classroom. Rick also facilitates regional workshops on Schoology and various educational technologies such as Hummingbird robotics kits and Google Expeditions. In his free time, Rick is a competitive sailor, enjoys swing dancing, and spending time with his wife and daughter. Melody Fissel is in her sixteenth year as an Information Analyst at Broome-Tioga BOCES. She brings a wealth of resources and abilities to her position including expertise in regional data analysis and reporting, system creation, marketing, website design and maintenance, technical support, as well as coordination of regional collaboratives and emergent initiatives. Melody is a graduate of Binghamton University’s School of Management. She embraces the cooperative philosophy and programming that drive the services and supports offered by Broome-Tioga BOCES Professional Development & Resource Center. She also serves as an enthusiastic ambassador to districts, students, staff, and visitors alike, acting as a critical conduit between stakeholders and BOCES service providers. Kristina Garcia is a Senior Library Clerk for the BOCES Media Library which is part of the School Library System and PD &RC at Broome Tioga BOCES. She is in her 18th year working at BOCES. Her first position was as a part time library clerk then moved into full time library clerk then full time senior library clerk. Kristina graduated from Windsor High School. She attended Binghamton University 1989-1994 majoring in History and Secondary Education. Kristina has worked a variety of jobs with Broome County Office for Aging, various retail stores and substitute teaching for school districts in eastern Broome County and Chesapeake and Great Bridge Virginia. Her interest is providing an even playing field for those who are less fortunate. Libraries help bridge that gap between the haves and the have nots. Kristina’s experience with libraries have been the most satisfying work for her. Kathy Harasta is the Program Assistant in the Arts in Education and Extended Classroom programs and School Library System. She is in her sixth year in this position. Before joining the Professional Development & Resource Center, Kathy was the Mentoring Coordinator for the SHARE Project for two years, a joint collaboration between BOCES, Binghamton University and Lourdes Hospital, introducing and supporting bully prevention programs to our local schools. Prior to working on the SHARE Project, Kathy spent ten years working at the Teacher Center of Broome County, helping to coordinate professional development offerings. Kathy received her Bachelors of Arts in Cultural Anthropology from SUNY Oswego. Upon graduation, she worked as a Software Configuration Management Specialist in Aerospace Engineering at General Electric followed by a few years as Program Coordinator/Office Manager at the JCC. Jaime Mendelis is a Literacy Professional Development Specialist with the Professional Development and Resource Center team. Prior to this position, she taught middle and high school English, served as a district literacy coordinator and as a mentor coordinator for new teachers. Jaime received her Bachlelor's degree in Secondary Education and English from Elmira College and her Master's degree in K-12 Literacy from SUNY Cortland. She also received certification as a Literacy Coordinator through the Literacy Collaborative program at Lesley University in Cambridge, MA. An insatiable quest to balance powerful instruction with practical application and the belief that the teacher is the constant in the ever-changing frontlines of the classroom is what drives Jaime's work with educators. She works to support teachers' depth of knowledge in how readers and writers learn and the translation of that knowledge into extraordinary results with all students. Jaime's present sessions include: Implementing the Writing Workshop, Literacy Roadmap, and Reading and Writing Argumentation. She also provides customized literacy support and coaching in districts. 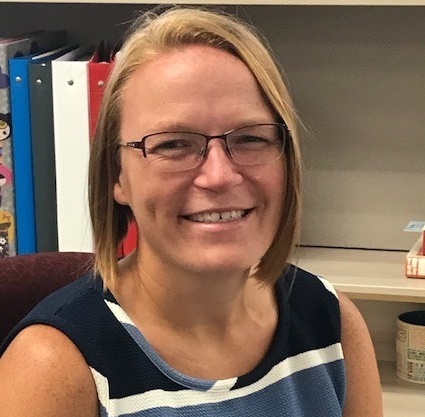 Emily Koval is in her first year as an Instructional Support Specialist in Instructional Technology for the BOCES region, as well as in the Norwich Central School District. She assists teachers in integrating technology into their instruction that will strengthen their students' learning. Emily received her Bachelor's degree in Elementary Education from Indiana University. She then completed her Master's degree in Curriculum and Instruction from the University of Phoenix. Emily has ten years of experience teaching grades 4-6. She has taught all content areas, as well as specialized in science. She has served on her districts' technology committees and is an active participant and presenter around instructional technology integration at the regional and state level. 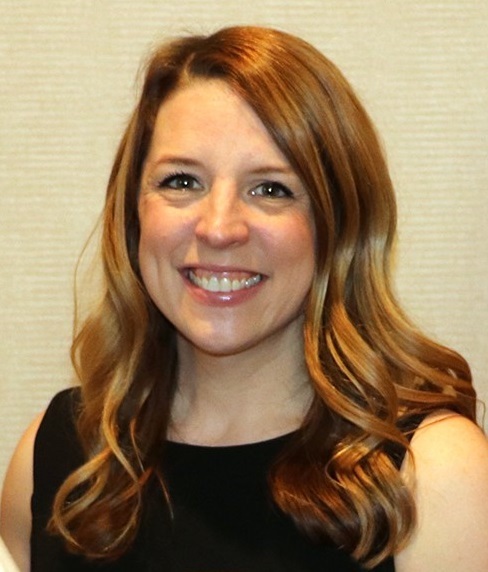 She has presented at regional ConnectED and math conferences and has provided many PD opportunities for other teachers within the buildings she has worked. Cody Osterhout is in his third year as the Regional Math Support Specialist Grades 7-12. He previously taught at the Norwich City School District, Sidney Central School District, and at Broome Tioga BOCES. Within those districts, he has taught math at each grade level, from 7th grade math to AP Calculus and has integrated mathematics into project based learning. Cody received his Bachelor of Arts degree in Adolescent Education in Mathematics from SUNY Cortland and his Master of Science degree in Education concentrated in Mathematics from SUNY Binghamton. He is also professionally certified in secondary mathematics. Cody’s focus is to help math teachers in grades 7-12 share and create instructional strategies to help maximize their student’s potential. Some of the workshops he facilitates are Algebra, Geometry, and Algebra II PLC’s, Math AIS 6-12, and Effective Math instruction in grades 6-8. Alicia Sherman is in her first year as an Instructional Support Specialist in Library Media. Prior to this position, she worked for five years as an elementary librarian for the Owego-Apalachin Central School District. She is an active member of the School Librarians of the Southern-Tier East and this is her third year as Vice President. 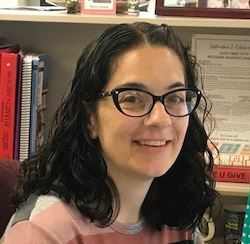 Alicia received her Bachelor of Arts degree in Social Studies Education from Albany University, a Master of Science in Education from Binghamton University, and a Master of Science in Library and Information Science from Syracuse University. Alicia is certified in Social Studies 7-12 and as a K-12 Library Media Specialist. Alicia's main focus is to support school librarians in developing high-quality library programs and to raise awareness of school librarians and library resources. 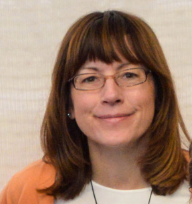 Maureen Smith is in her third year with the PD team, having split her time for the past two years between Norwich City School District as a Technology Integration Specialist and at BT BOCES as a Regional Science Professional Development Specialist. Prior to her roles at Norwich and for the BT region, she taught middle and high school science. Maureen received her Bachelor’s Degree from SUNY Environmental Science and Forestry in Aquatic and Fisheries Science. After spending 2 years abroad with the Peace Corps, she continued her education at SUNY Cortland to receive her Master’s degree in Secondary Science Education. Maureen is currently certified in Biology 5-12, General Science 7-12 and Spanish 7-12. Beginning with the summer of 2018, Maureen will be focusing on science professional development for the BOCES region. For the past two years, she provided regional science for the BT BOCES region with a focus on the new Science Standards adopted by New York State. Moving forward, she will continue to support teachers as they transition to the new science standards, and also support and share out best practices for increasing engagement in science. Elaine Stankosky is a Systems Training Assistant for library automation with the School Library System. She has been involved with library automation for over 22 years and has supported three different programs using four different servers and operating systems. Elaine received her Bachelor’s degree in biology with a minor in mathematics from SUNY Plattsburgh. Since the library automation software is very dynamic, Elaine is constantly learning new features and training users in their usage. She provides daily support via phone, email, and on-site visits and is dedicated to customer service and satisfaction. Cathleen Stewart joined the Professional Development & Resource Center in 2015 as a Special Education School Improvement Specialist. Cathleen earned her BA in political science and a Master of Arts in Teaching from Binghamton University. She holds dual certification in social studies and special education as well as a Certificate of Advanced Study in Educational Leadership. Prior to joining the BOCES team, Cathleen taught special education in grades 7-12 as a consultant teacher, resource room teacher and as a 15:1 social studies teacher. 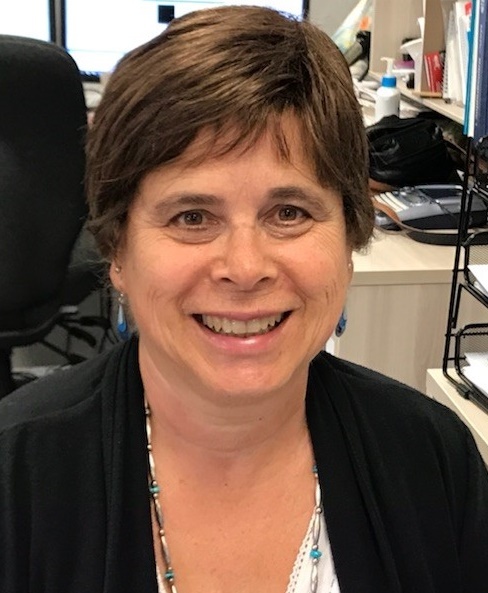 Cathleen is passionate about working alongside teachers in a partnership approach in order to implement evidence-based strategies aimed at increasing outcomes for all students. 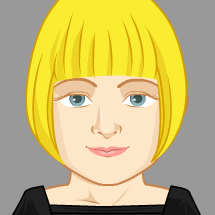 Barb Tasber is an Instructional Technology Professional Development Specialist in the PD&RC. Prior to this position, she spent 15 years at Maine-Endwell teaching 4th grade, 5th grade, and Numeracy K-5. Barb received a Bachelor’s degree in both Elementary Education and Psychology from St. John Fisher College. She then received her Master’s Degree in Literacy from Binghamton University. Barb’s role at BOCES is to work with teachers in the Maine-Endwell and Windsor School Districts to help them effectively integrate technology into classroom instruction to enhance student learning. This includes coaching teachers in the districts’ 1:1 initiative, as well as providing professional development and implementation support in the use of learning management systems, Google’s G Suite, center-based technology tasks, computer-based collaboration, presentation, and publication of students’ work, computer-based assessment and coding and robotics. Paul Volkert is in his fifth year as the PK-6 Regional Mathematics Professional Development Specialist for the Professional Development and Resource Center Team. Prior to this he worked as a 6th grade mathematics teacher and coached a variety of sports at Harpursville Central School. The past two years he has served as a mathematics support specialist at BOCES and was embedded in four districts in the region. Paul received his Bachelor’s degree from SUNY Cortland in Childhood Education with his Masters of Education in Inclusion from the University of New England. He also completed his CAS in Educational Leadership from the University of New England. He is in the final stages of receiving his certification for School Building and District Leader. Paul’s main focus is sharing and implementing best teaching practices in mathematics to motivate and teach students at the highest level. He teaches a number of workshops such as Math Work Stations, Cooperative Learning in the Mathematics Classroom, Math AIS/Special Education PK-5, and Focus on Effective Teaching.